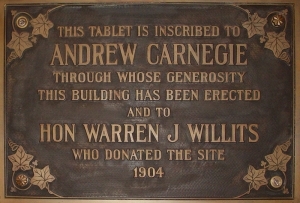 The Carnegie Center for the Arts was originally the Three Rivers Public Library. 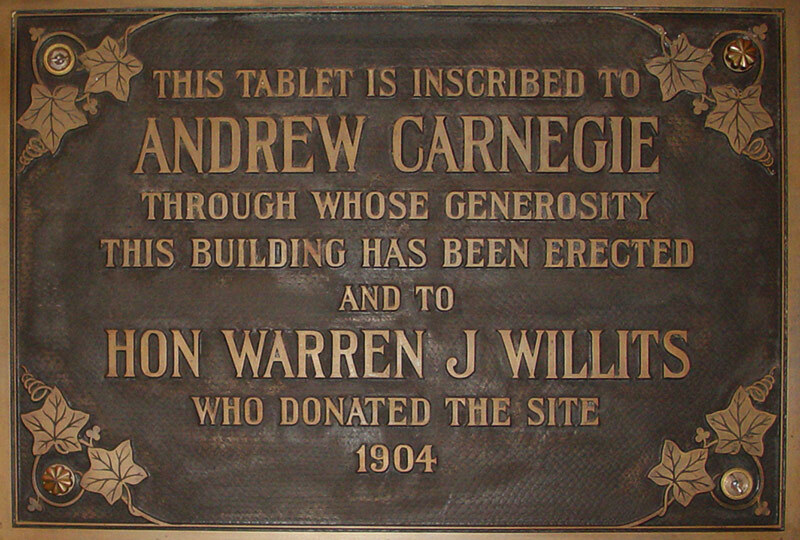 Completed in 1904, the library was funded by Andrew Carnegie, who had contributed funds to build over 2,500 libraries around the world. Designed by A.W. Rush, the library had a Romanesque flavor with it’s pink granite fieldstone of the west and east facades, windows trimmed in red Lake Superior sandstone, and lilac slate covering the west gable and wrapping around the pillars of the recessed second floor windows. In July, 1978, the Three Rivers City Commission decided that it was necessary to move the Three Rivers Public Library from its location in the Carnegie building at 107 N. Main St. This decision was made after the city’s engineering firm reported that the building was unsafe due to elements seeping in through the library’s north wall, which had been damaged by a fire next door and a broken water main. 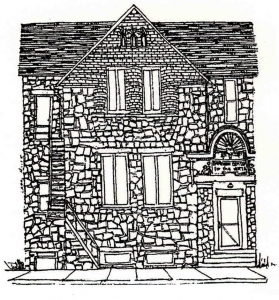 The Three Rivers Woman’s Club saved the Carnegie building from being torn down by leasing the building from the City of Three Rivers in 1979 and began restorations. 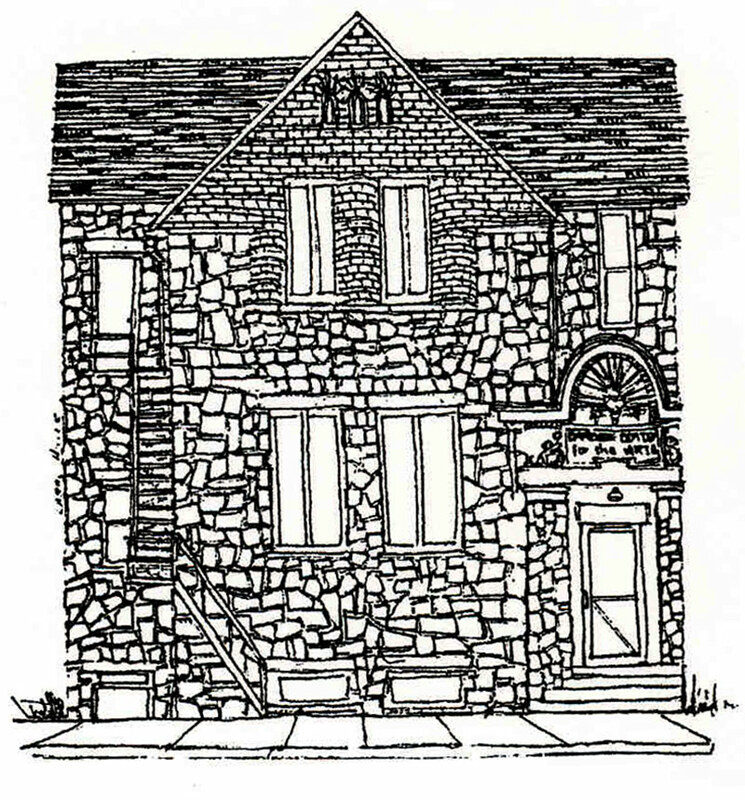 The building was renamed The Carnegie Center for the Arts, and held it’s official grand opening on April 27, 1980, showcasing art work from the children of St. Joseph County. Since then, the Carnegie Center’s programming includes a variety of established programs for children and adults. In 1992, the two adjacent buildings forming the corner on Portage and Main St. were donated to the center. Fund raising began in December 1995, and in July 1996, the campaign goal of $750,000 had been reached thanks to the generosity of many businesses and individual contributors. Construction and renovation began in November 1996 to join the three buildings. The completed Carnegie Center for the Arts featured its first exhibit in the W.R. Monroe Museum in June 1997. Now, the Carnegie Center in it’s 37th year, hosts an array of amazing exhibits and concerts. Continuing to serve over 23,000 people, annually, through a children or adult program, concert or exhibit, the Carnegie Center for the Arts is a community based and community supported art center steep in tradition. The Carnegie Center for the Arts has impacted Historic Downtown Three Rivers for years with guests and artists. Above all, young people have gained confidence in themselves and have expressed artistic endeavors in both the performing and visual arts. Your support ensures our tradition of creating positive and artistic memories for ALL. YOU, and your donation, makes everything we do possible!